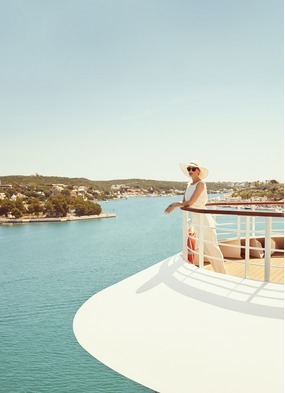 One of the long-established preconceptions about cruising is that it is a sedentary type of holiday: images abound of people sitting and watching - whether aboard on deck, or ashore on a coach. 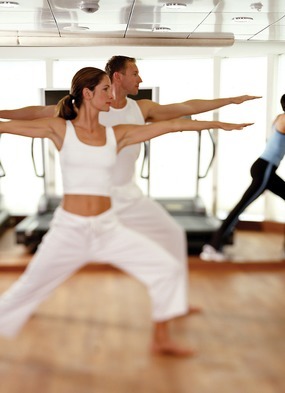 But things have changed, and so many people now look to match their active lifestyle at home with an active cruise holiday. On board ships we see great facilities ranging from paddle tennis courts to golf driving ranges, and from rock climbing walls to Pilates classes. 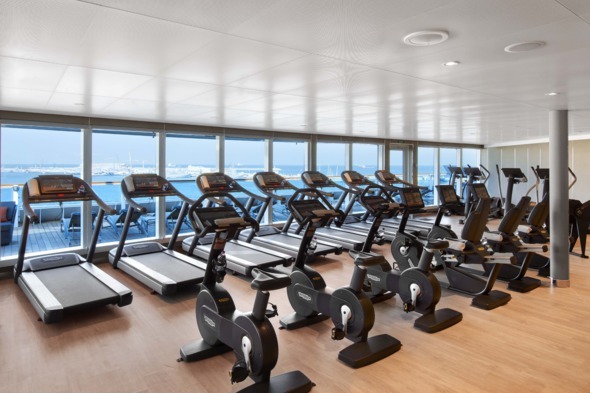 And these are not limited to the big mainstream ships - well-equipped gyms and a great fitness programme can be found even on the smaller luxury ships. Many people worry that by booking a ship's excursion, they are signing up to travelling at the pace of the slowest member of the group. But more and more, we are seeing quite a different story. One of the more innovative offerings is Crystal Cruises' selection of 'site running' excursions - intimate and invigorating scenic 5-10k runs that vary from jogs past historical sites to nature runs through magnificent parks, with fascinating options in Stockholm, St Petersburg, Amsterdam, the French Riviera and more. All outings include transportation to/from the course's beginning and/or end, instructor-led warm-ups and stretching beforehand, guide-narrated sightseeing stops, reflective safety gear, and healthy refreshments. This programme supplements Crystal's huge variety of activity-led shore excursions, including cliff climbing in Croatia, ziplining in Hawaii, hiking volcanoes in Costa Rica, horse riding in Iceland, dog sledding in Alaska and white water rafting in New Zealand. 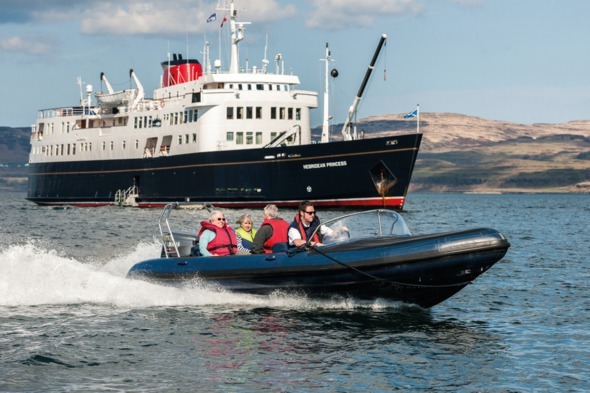 On the Queen's favourite cruise ship, Hebridean Princess, walking tours have been a key part of the programme for many years - look out for the 'Footloose' cruises, which in 2017 include the Isle of Man, Skye, the Bishop's Isles, Sutherland, Argyll and the Firth of Clyde. Support vehicles enable keen and seasoned walkers to take off on lengthy hikes, whilst less robust participants are able to duck out after a shorter trip, and in all cases the walks are designed to enable guests to make the most of the stunning scenery in Scotland and elsewhere. Cycling ashore is a great option to explore a region at a leisurely pace. On the luxury barges of European Waterways, bicycles - fully equipped with helmets and reflective gear - are available for all guests; you can disembark at one lock and cycle the level canal towpath to the next to rejoin the vessel, or take off to explore the villages and countryside in the area. 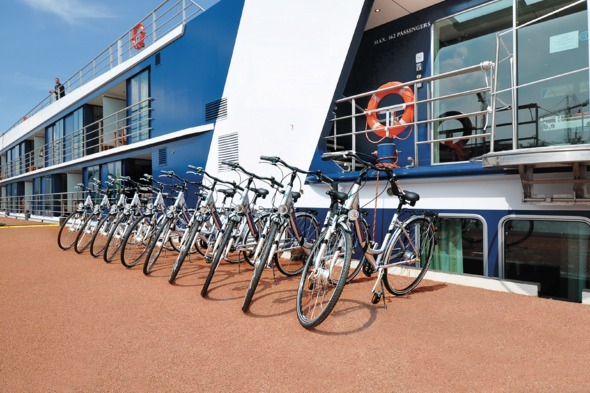 Meanwhile many river cruise vessels such as those of AmaWaterways, Uniworld, Tauck and Viking carry bicycles on board for use by guests. They can cycle off independently, or join a guided cycle tour to a specific destination. In keeping with the slow pace of the river vessels, touring by bicycle gives you plenty of time to soak up the atmosphere, and enjoy the beautiful sights and scenery. 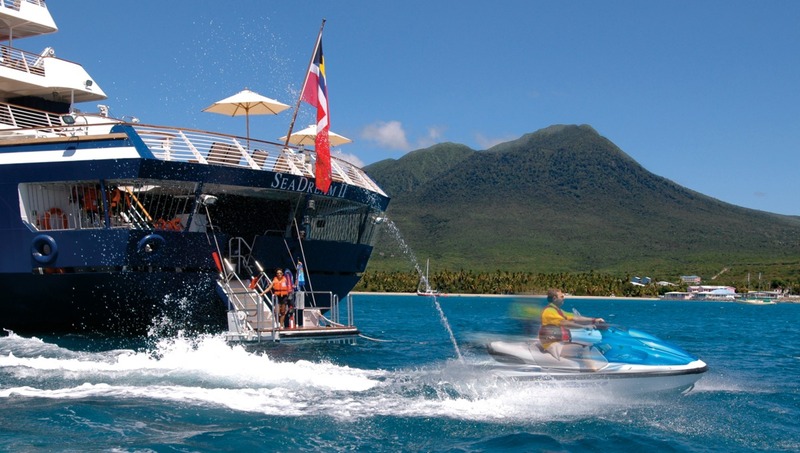 Luxury yachts SeaDream I and II appeal to the active traveller, with a whole host of 'toys' to play with from the back of the ship including kayaks, paddle boards and jet skis. Ashore, you can set off on an organised bike ride - often with the captain or one of the senior officers - or do your own thing as you explore at your leisure further afield. So next time someone tells you cruising is a 'holiday for spectators', put them right - you can be as active as you wish. And if you're looking for an action-packed holiday that takes you far from the beaten track, why not take a look at our sister company Mundy Adventures, specialists in expedition cruising to the world's most remote and exciting destinations.